A Woman of Her Word – Embracing Our True Magnificence! Listen by pressing the Play button or download the MP3 file (6MB). A Woman of her word. Calling all Women of the Word. Women of Light and Honor. When she speaks the whole world opens up. The resurrection of the feminine Christ, is within us all. The Divine Marriage, the Sacred Union, the birth, of the the Goddess… she is alive, she has spoken, she is the divine Mother, she is in YOU. she honors her agreements, she is true to her word. Every person alive wants to trust in the Feminine — like we did when we where children, when our mother spoke we believed what she said, we thought that our parents where GOD. trusting in the spoken word of the One. she has released the powerlessness that she felt in not being heard, not being supported, and not being honored. Not being honored and equal to men…. She has compassion for herself, as she experienced her own dishonor and not being true to her word. She has forgiven herself for letting herself down, for sabotaging herself just when the miracle was about to happen. For not listening to her heart, for not taking better care of herself, for dimming her light in fear she would be ridiculed or not accepted by others. She has compassion for all the places within that still need to heal, she has forgiven herself for giving her power away (time and time and time again), she — made a vow, from the Christ power within her, from every single cell of her being, that she will NEVER under any circumstance or event, give her power away to another. She released the cell memory of losing her life for speaking her truth. She has released the cell memory of the shame that came with the “story” of Adam and Eve. she vowed to be true to her divine nature, to stand in her truth… no matter what. she is all powerful, and nurturing at the same time. She is in her center — receptive and open, honoring her word, and standing strong in her integrity. She has died many deaths, many times, and time and time again… only to rise up and speak. She is calling on you to too… to be true to your word… to honor yourself when you speak. She has been in training (embodying) for a long time, to purify, to honor, to give birth to the new world in thought, action, and being. Her yearning to be with her beloved has been an ongoing practice…. She had to be both the mother (the word) and the father (the integrity). The sacred masculine within her has been in boot camp training for a while now and just came on-line. when the choices that had to made would represent the new masculine archetype of Integrity (of the purest kind). Just like a choice made from an ascended master, and angel, or God. Placing the action first, standing true, time and time again like a tireless warrior, in honor and integrity. The divine masculine has been showing up, honoring the agreements, and she was so pleased to see this — this was showing up reflected back to her in her experience. He was here, honoring and holding her, while parts of her now being exposed needed to die and fall away. The shame, the dishonor of the word, the places within where she fell short… now released in complete surrender. The rest was up to her, to be a woman of her word — in thought, action, and deed. YOUR words speak miracles into being, your words create new worlds, your words part the seas, your words feed the children. The word she speaks is the word of God… the word she honors is herself. This is the resurrection of the Christ energy within me. The word spoken by the divine feminine is law… the respect and honor of the spoken word… the word of the source speaking through her. 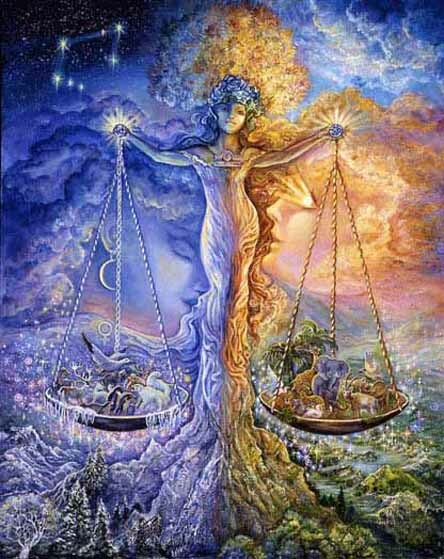 The divine marriage — the balance of the sacred feminine (the word) , the sacred masculine (integrity), the divine union. slipping — INTO the NOW!